Wendy has been in the dental profession for more than 18 years. Moving to Ohio from hometown South Bend, Indiana (GO IRISH!!) Wendy now resides in Wellington with her husband and their three sons. She enjoys spending time with her family, traveling to tropical destinations, and going shopping with friends. Wendy is very excited to see all the progress in dentistry over the past years. She also loves working in an office with state-of-the-art dentistry. She is committed to helping patients feel comfortable about their dental experience. 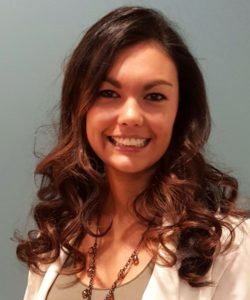 Courtney is a Certified Dental Assistant and Radiographer since 2010. 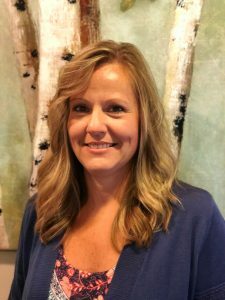 She currently works at the front desk and is excited to be surrounded by such an amazing, caring, and talented group of people here at Whispering Pines Dental. Courtney lives in Lorain with her fiancé Ryan and their dog, Chloe. In her down time, she enjoys spending time with the people she loves, traveling & anything outdoors.